The prospect of writing and publishing a children’s book with her classmates doesn’t faze ten year old Kyara. 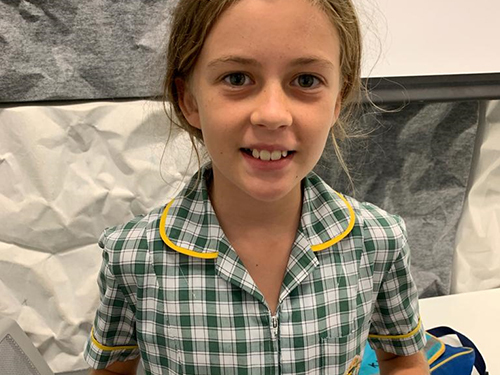 The Year 5 student is working on a collaborative project with eight of her classmates to write a children’s book, which will be published in her school library. As Kyara is two years ahead of her school grade in Kumon English, she feels ready to put pen to paper. 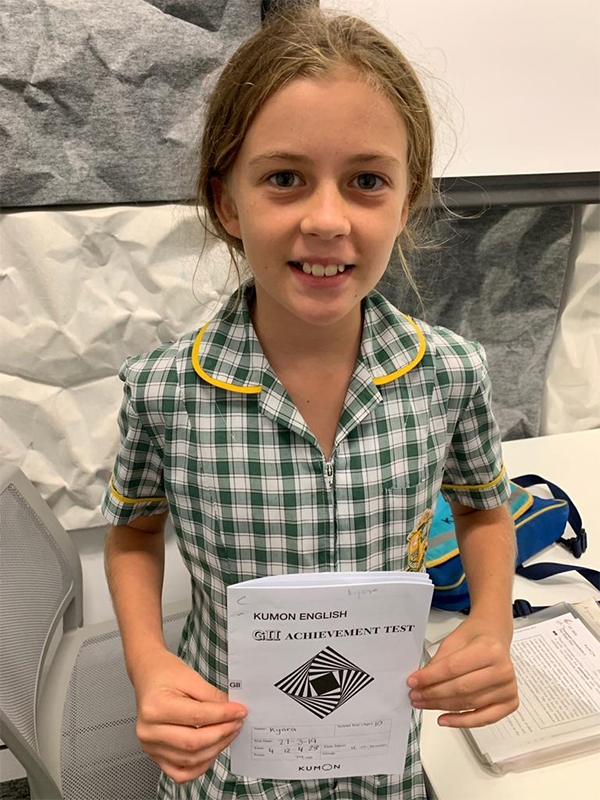 “I think my Kumon English will back me up and I can use all the extra vocabulary I have learnt”, Kyara says. Kumon English supports students learning by assigning them personalised learning programmes to develop their ability in comprehension and critical analysis. 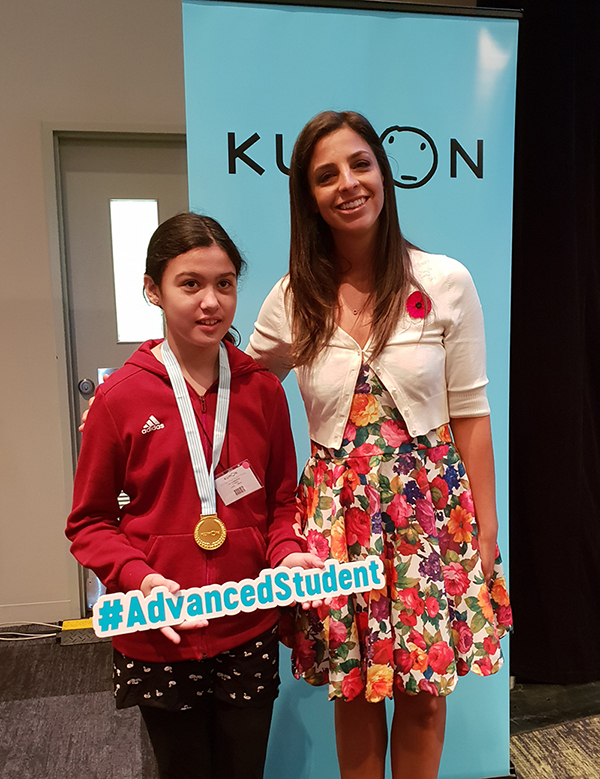 In Kumon English, advanced students can tackle learning that sufficiently challenges their skills and piques their interest. 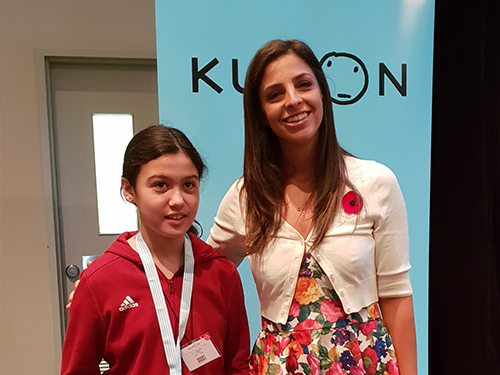 Kyara says that in addition to developing her English ability, Kumon has taught her to embrace challenges. Shauntel, Kyara’s mother, says Kumon supported her daughter to be more independent. “She’s self-motivated and she studies on her own”, Shauntel says. Kyara aspires to be a journalist and TV presenter when she grows up. At just ten years old Harshwardhan is smashing his way through high school maths and English. 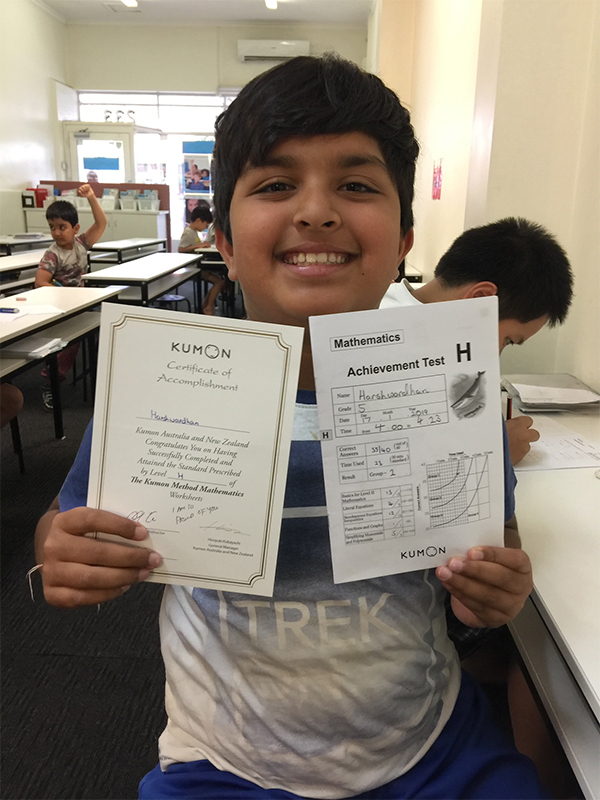 The Year 5 primary school student has completed the Kumon English Programme, meaning he has the literacy ability of a Year 12 student, and is studying Kumon Maths at the Year 9 level. 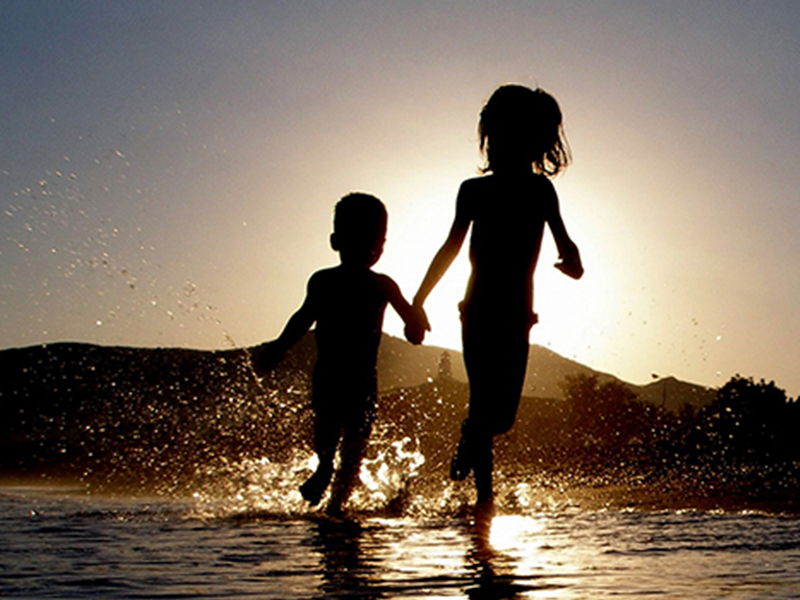 Kumon Maths and English are personalised learning support programmes that allow students to study at their own pace. This means advanced students, like Harshwardhan, can race ahead to study content that is above their school grade, while those who may be falling behind can go back to practise and revise. 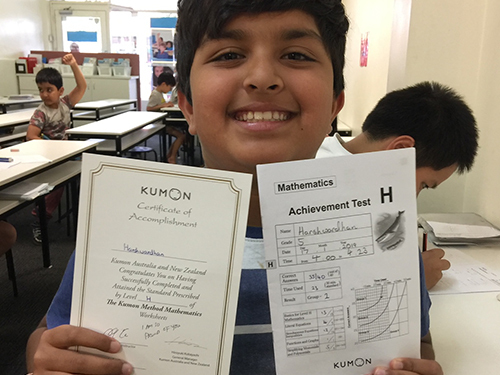 Harshwardhan says his Kumon Maths and English study has improved his confidence and knowledge. “Kumon has helped me build confidence, improve my knowledge and my self-esteem and my belief in myself”, he says. 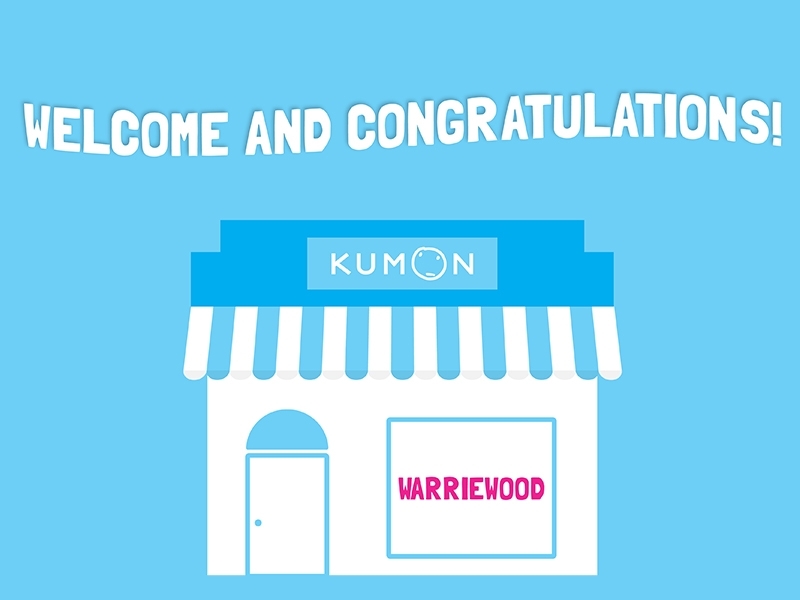 Kumon has also supported Harshwardhan to take on and overcome challenges. “When I solve a difficult equation it feels good because I’ve learnt something new and I realise that I can actually do this”, Harshwardhan says. Harshita, Harshwardhan’s mother, says Kumon has supported her son to grow into an independent learner. “Kumon doesn’t spoon-feed, they show children the technique for solving problems”, Harshita says. Harshwardhan aspires to become an electrical engineer when he grows up. 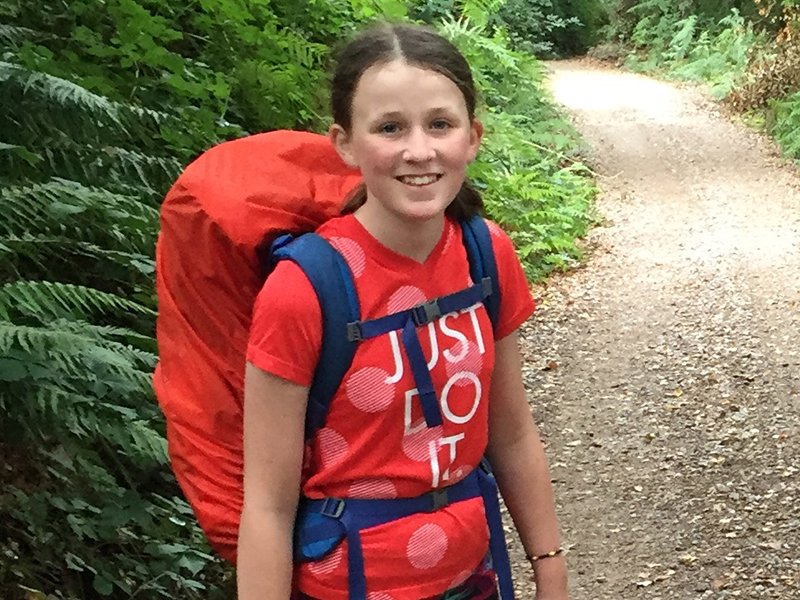 She’s only in Year 5 in primary school, but 10 year old Layla can already tackle many of the advanced maths problems that university undergraduates face. And Layla, who aspires to become an astronaut, isn’t fazed by the inherent challenge of solving complex equations. In fact, she relishes in overcoming difficulties. Layla says she was inspired by her father Liam, who holds a PhD in mathematics and is a former maths teacher, to excel in maths. Furthermore, this drive led Layla parents to enrol into the Kumon Maths programme in 2016. “We’re personally not bothered whether or not Layla’s far ahead, but she loves maths. She wants to be far ahead and she wanted to do Kumon, so we supported her”, says Nancy, Layla’s mother. Kumon Maths supports students learning by assigning them personalised learning programmes to develop their maths ability. In Kumon Maths, advanced students, like Layla, can tackle learning that sufficiently challenges their skills and piques their interest. 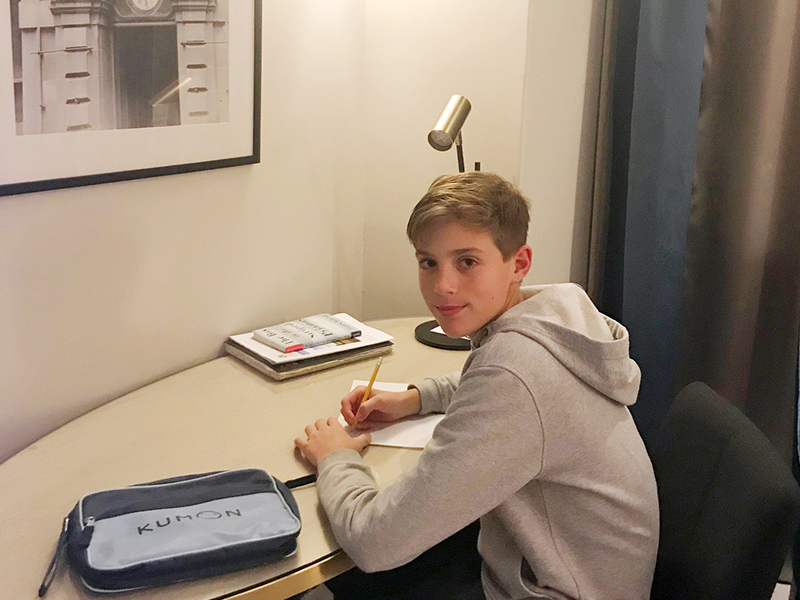 “For growing a student’s maths ability, Kumon is basically ‘practise makes perfect’”, Liam says. 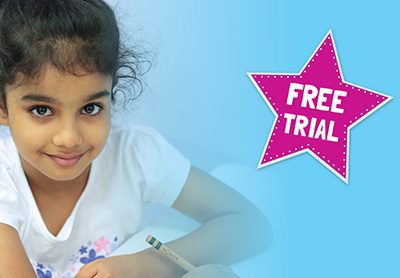 The Kumon Maths curriculum covers content from the preschool level, all the way to undergraduate university. Layla finished Kumon Maths last year. Liam, meanwhile, says being strong in maths goes beyond just being good with numbers. “It gives you the discipline not just to work out whether you’ve been given the correct change to pay for something, but actually spot patterns in things which may actually have nothing to do with numbers”, Liam says.